As any normal couple, Jesse and I don't agree on everything. My sometimes very weird food combinations are one of those things - and breakfast is another. Jesse is a savoury breakfast kind of guy. Think eggs, bacon, omelettes, toast, scrambled eggs, grits. Me? I'm a sweet breakfast loving girl. 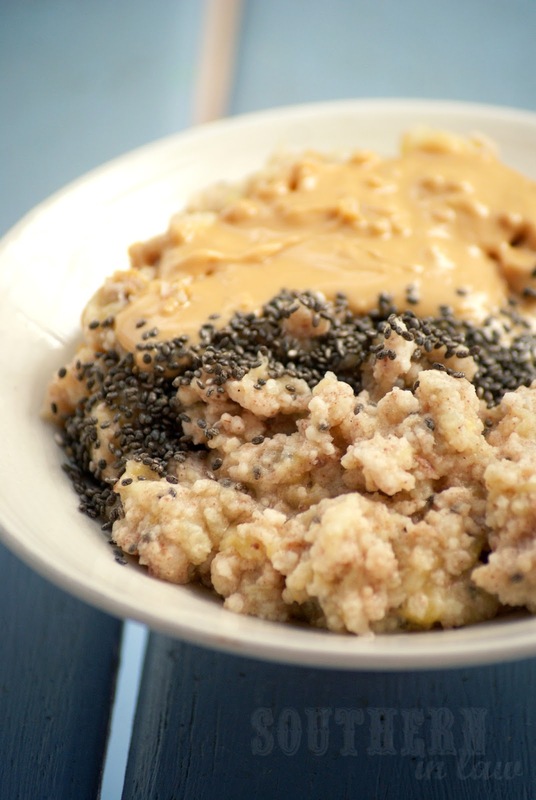 Breakfast bakes, cereal mixes, muffin messes, smoothies, sweet toast toppings, etcetc. But I promise you, don't even think about these as eggs - just think of them as delicious - because that's what they are. Warm, sweet, comforting and oh so filling. 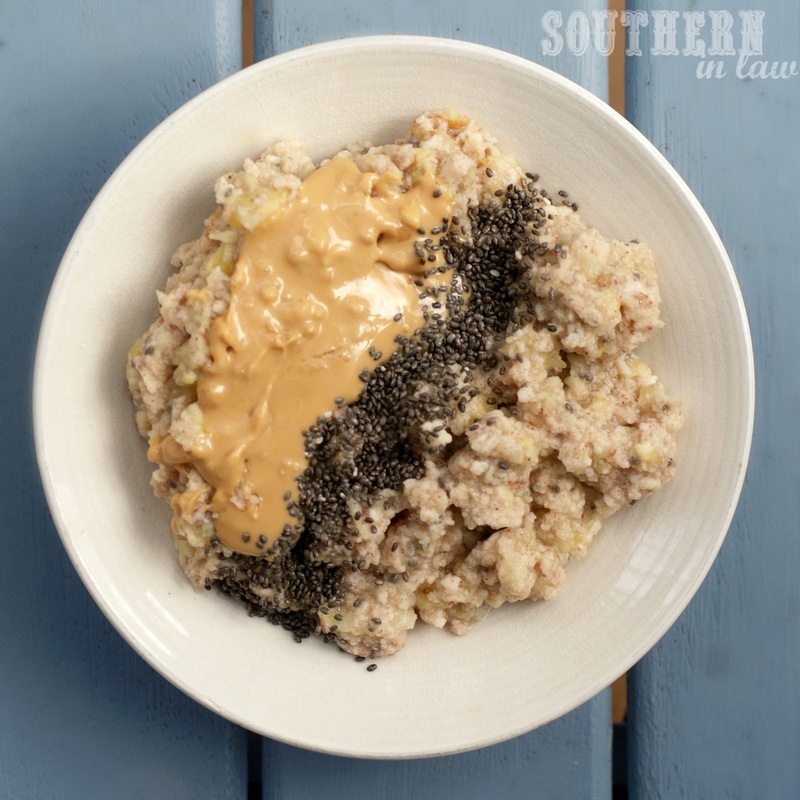 I first tried this combination when "Oatless Oatmeal" combinations started popping up. I had a fridge full of egg whites and needed something to do with them - so I got experimenting. So I took a ripe banana, a generous splash of egg whites and the rest was history. I was addicted. As I'm also addicted to breakfast bakes, I don't usually have these for breakfast - instead whipping up some for a high protein snack or a sweet lunch. Whenever you eat them, they're delicious. In a small saucepan over a medium heat, gradually stir your mixture until your eggs are cooked and fluffy. Pour out into a bowl or serving dish and top with your favourite toppings (Peanut Butter is highly recommended!). *I don't like the taste of egg yolks and didn't eat any form of eggs until recently for that reason - hence why I use egg whites. If you don't mind eggs, use them! But tell me, are you a sweet or savoury breakfast person? and have you tried "oatless oatmeal"? Haha it's a little weird - but oh so good! It's a little odd - but a whole lot of delicious! 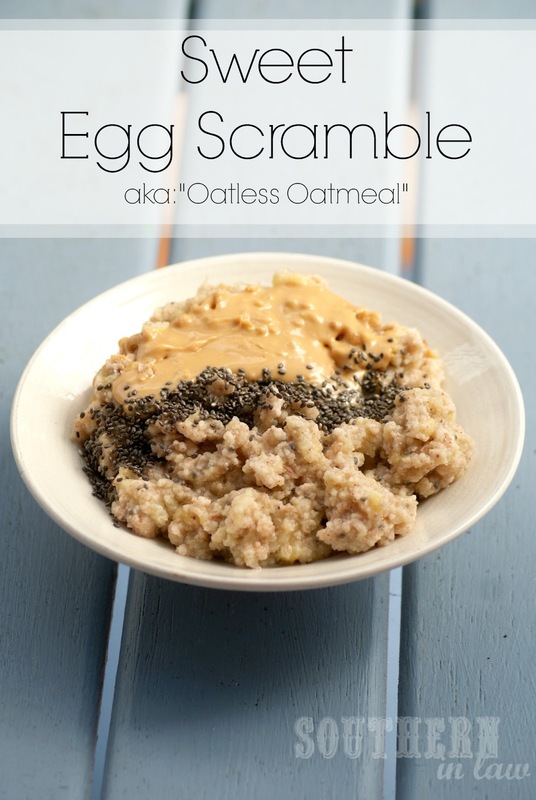 I usually add eggwhites to my oatmeal along with some Greek yogurt...adds alot more protein and taste delicious! I do the same - it makes your oats super fluffy too! Does this recipe scale well? If I double/triple it, will the consistency come out ok? I'm not the only one in my family who will want to try this! It most certainly does! It's an incredibly forgiving recipe so you can multiply it or even cook it too fast/slow and it will all come together in the end! Let me know how it goes! Was wonderful! Was looking for a new way to eat breakfast! I added just a bit of groung flaxseed to give it a slight nutty flavor. Thanks! I've been looking for an alternative to oatmeal with protein powder every morning, without loosing all the protein! This was really great! I love the sweet breakfasts. I added a tbsp of dark chocolate chips and the last of my PB2. It was really yummy! I might try adding quinoa next time for more added protein! Thanks for the idea!